Manchester City hope to tie down four of their key players to new contracts in the coming months, Barcelona-based newspaper Mundo Deportivo reports. David Silva, Kevin De Bruyne and Fernandinho are three that the Blues hope will sign new deals, with the Brazilian midfielder just months away from being a free agent but expected to pen a renewal. All three have been tipped to sign new contracts and the hope is they will before too long. 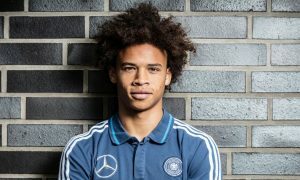 The fourth name is Leroy Sané, who is one of the more modestly paid (by top club standards) first-teamers at the Etihad on £60,000-a-week. To recognise his growth, he will be offered a new deal on improved terms, with both Mundo Deportivo and The Sun adding his name to the list of those in line for updated contracts. The Spanish newspaper reports that David Silva is the most immediate priority, and Pep Guardiola made it clear at his pre-Southampton press conference how much the midfield maestro means to City. “When he can finally sign the contract, we’ll be very happy,” Guardiola said. “What he’s done for the club will be written in the history books in the future and I hope he’ll continue for the next years. After Silva, it will be De Bruyne and Fernandinho’s turns, and then Leroy will be offered an upgraded contract. The young German is expected to receive his offer at the end of the season. If everything comes to fruition, four of City’s most important players will commit themselves to the Manchester club for years to come.